Florecita Forest School was ready to find ways to create a brand that would inspire growth. As an all-outdoor preschool, they were innovators, early adaptors and experts in the emerging Forest School movement. 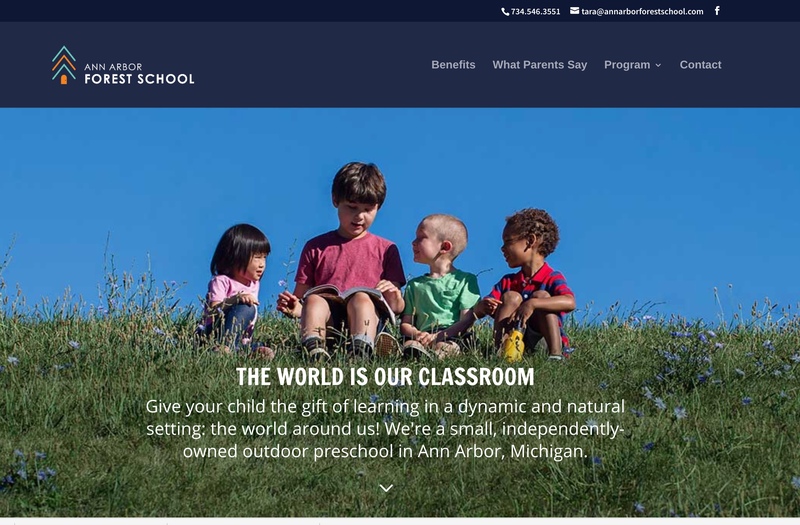 Invisible Engines helped Florecita rename as the Ann Arbor Forest School and build a brand that invites parents to learn more about the school. Founder Tara Habeck had been running a forest school in Ann Arbor called Florecita Forest Kindergarten for many years. And though the school was well known and respected, she faced some distinct challenges. For one, Florecita was difficult to spell for most people, and that made it hard to google. 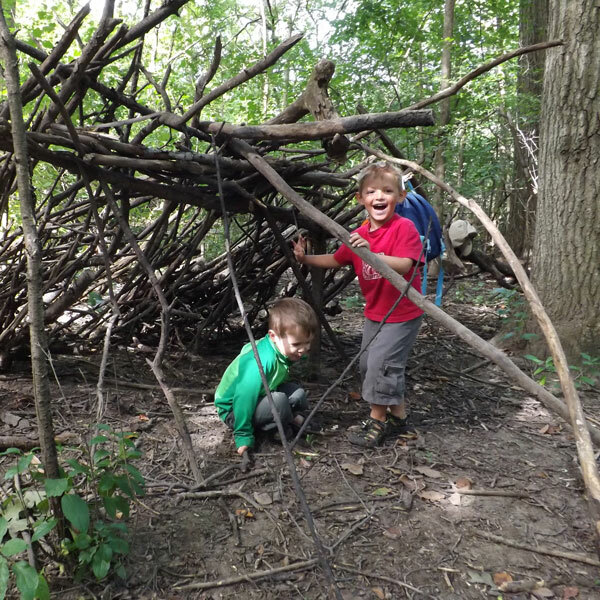 The concept of a forest kindergarten or forest school, a year-round preschool where children spend all their time, except for nap, outside, is new in the US and even newer in the midwest. We found that the forest school movement was growing quickly, and that Tara was uniquely positioned as someone who had years of experience and expertise in a small field. 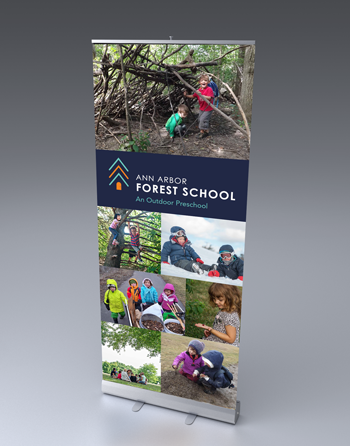 We suggested a new name: The Ann Arbor Forest School. This is a direct approach, easy to recall, and one which locates the school in the community, and lets people know what it is about even if you don’t know what exactly a forest school is. The logo we developed connects to the idea of nature and learning in a way that is warm and inviting — the door in the trunk of the tree is a gateway to more (more learning! more growth!). It also remixes the idea of the outdoors and the indoors, which can inspire confidence that the outdoors can be a hospitable, welcoming and safe, place for kids to learn. The colors are unconventional in the field of preschool logos but suggest intelligence and display a bit of appropriate risk taking, which is a concept near to the heart of the forest school. We partnered with photographer Leisa Thompson to show the small moments and daily experiences of forest school students. We knew that the more that parents could see, the more they would intuitively understand what happens when the classroom is the outdoors. By showing a sense of warmth and welcome, as well as confidence and control (which translates to safety for parents) we were able to build a brand that could support the school through its next phase of growth.